The University of Alabama, located in Tuscaloosa, Alabama, on the edge of the Black Warrior River, was founded in 1831 as the state’s first public college. From a landscape and grounds viewpoint, it has quickly become one of the most beautiful campuses in the nation. Assets such as its magnificent Live Oaks, Magnolias, and October Glory Maple Trees to its beautiful ponds, open, green quadrangles, and manicured flower beds give this University campus the charm, beauty and feel of the old south. Add to that the strong central core of the antebellum President’s Mansion, the landmark Denny Chimes obelisk tower and a multitude of character striking architectural structures throughout the campus and you quickly see the rich heritage of Alabama’s flagship University. This strategic plan will serve as the primary roadmap to insure the campus landscape and grounds continue to be a one of the key pillars that contributes to the heritage of the University of Alabama. A well cared and properly maintained campus landscape and grounds, not only adds to the beauty of the campus, but it is critical to recruiting students. Dr Phillip Waite, Associate Professor in landscape architecture at Washington State, in his research, which was directed at the effective power of place, and how the landscape of a campus affects student recruitment, retention and learning performance, found that 62% of high school seniors make their choice of institution on the basis of the appearance of the campus buildings and grounds. The beauty of this campus also translates into an incredible recruitment tool to attract, not only the best and the brightest students, but quality faculty and staff while serving as a major foundation for a conducive environment to study, teach, research, work, entertain, recreate and relax; a place we proudly call The University of Alabama. With all this landscape beauty, comes the enormous challenges of maintaining the highest level of landscape excellence, installation, and integration of new special landscape projects, meticulous planning for future landscaping on capital construction, and most importantly, paying close attention to detail on daily grounds and landscape maintenance. The annual grounds maintenance requirements, from daily routines to annual cycles will be outlined in detail in Part I of this plan, and provide descriptions of campus landscape and grounds projects in Part III. Ultimately, this Landscape and Grounds Strategic Plan will serve as a detailed reference guide/timeline to insure the most critical campus landscape needs and requirements are addressed over both the short and long term timeframes while formulating a solid plan for campus special projects in the landscape arena. It is imperative that the most critical locations on campus be identified as top priority areas. These areas, because of their location, importance, or historical significance, require greater attention to detail to landscape grooming on a more consistent schedule. These areas, labeled as priority ‘A’ and priority ‘B’ areas are key areas; priority ‘B’ is not considered as important as priority ‘A.’ There are also priority ‘C’ and ‘D’ areas; each descending in importance. 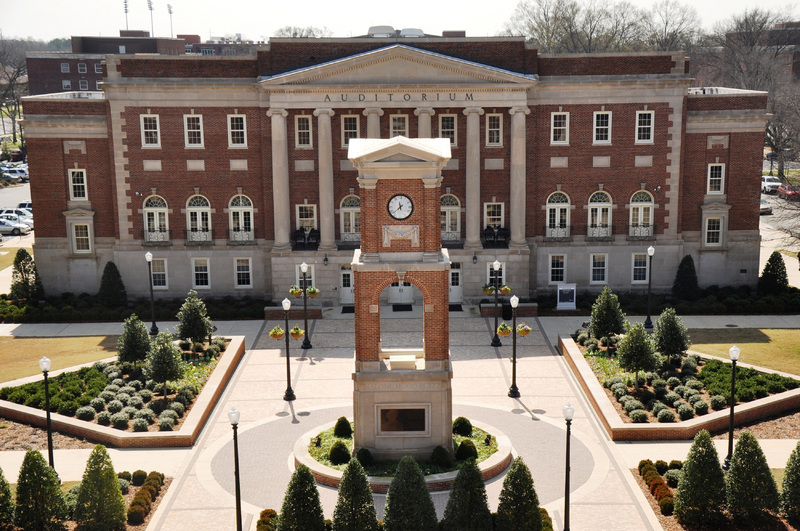 All landscape project plans will adhere to the stringent guidelines for Project Standards as outlined in the University of Alabama Campus Master Plan dated 2007. The appendix in this plan provides clear and concise descriptions of each foreseeable project and illustrations to give the university a better idea of the end product of each project. It will also provide timetables for when the landscape critical needs should be accomplished during a yearly cycle.